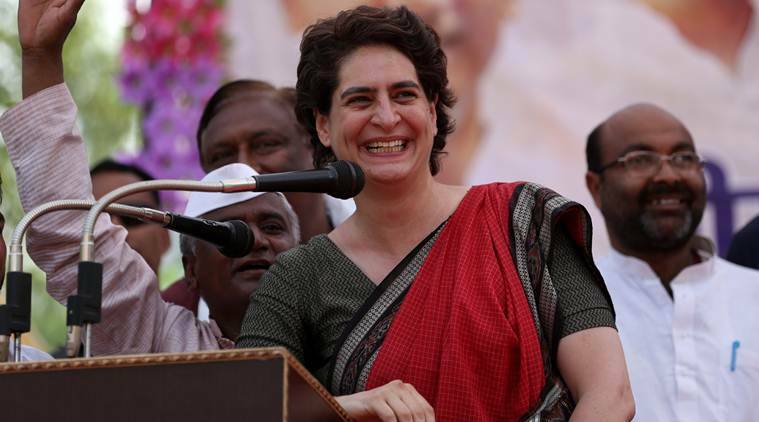 Attacking the government’s economic policies, and referring to the Congress promise of ensuring basic minimum income for the poor, Priyanka referred to a popular 2014 campaign line on black money by Modi. 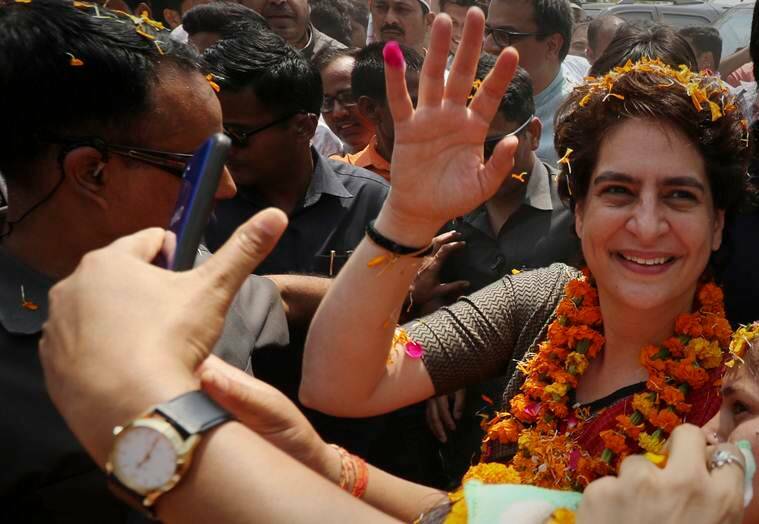 Priyanka Vadra, the Congress general secretary in charge of eastern UP, launched a scathing attack against Prime Minister Narendra Modi in Ayodhya Friday, accusing him of ignoring the poor and his government of focussing only on publicity. Attacking the government’s economic policies, and referring to the Congress promise of ensuring basic minimum income for the poor, Priyanka referred to a popular 2014 campaign line on black money by Modi. “They said they will give Rs 15 lakh in your accounts. Now when the election is there, they started depositing Rs 2,000. Congress in its manifesto has announced a (Nyay) scheme under which every family should have a minimum income of Rs 6,000 per month,” she said. “When the Congress made the announcement, the central government, the Prime Minister and the BJP said this is just because of elections and the country does not have money for it. You tell me, if the country does not have money for this scheme, then how did Prime Minister get the money, Rs 3,17,000 crore, for his scheme under which he waived the loans of industrialists,” she said. Priyanka also attacked the BJP for not focussing on farmers’ issues and rural distress. “They said they would bring several big schemes for farmers. Ask the farmers what their condition is. You get Rs 1,600 for paddy. There is a Congress government in Chhattisgarh and they are getting Rs 2,500 per quintal… I went through the fields and saw barricades everywhere. When asked, they said they are so frustrated due to stray animals. Women do chowkidari in daytime and men at night. The government is busy making T-shirts of ‘main bhi chowkidar’,” she said, referring to the BJP’s poll slogan. “They have a misconception that they can mislead the people. That no matter what they tell the people, as long as it is well marketed and packaged, people would be misled and hand over power to them. This is not happening as you are the ones suffering, your produce is being destroyed by stray animals, you are not getting jobs,” Priyanka said. The Congress leader also held several “nukkad sabhas”, and visited Ayodhya’s famous Hanuman Garhi temple, where police resorted to a mild lathicharge to disperse a group that started chanting Modi’s name. Asked about the Ram Lalla temple at the disputed Ram Janmabhoomi-Babri Masjid site, Priyanka said she decided not to go there because “the issue is sub-judice”.